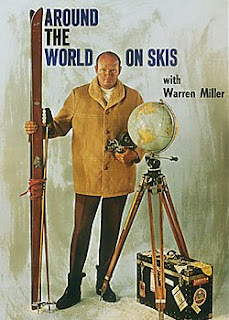 Locations: Cordoba Alaska, Austria, Utah, Sun Valley Idaho, Steamboat Colorado,Bend Oregon,Crested Butte,Habuka Japan, Iceland and asegment Dedicated to Billy Poole. Daron Rahlves knows Austria from his years racing there on the World Cup. Two years after his retirement from the World Cup race circuit, Rahlves heads back to Austria to explore the mountains wearing, “something other than a one piece suit.” His European gate chasing days behind him, Rahlves rediscovers the Austrian Alps as a big mountain skier. These days, insanely steep lines serve as Daron’s primary competition, and he lets ‘em have it. Calgary, AB – October 28, 2008– Fernie Alpine Resort has been named #6 on the list of the Top 15 Ski Resorts in North America in the November issue of Outside Magazine. 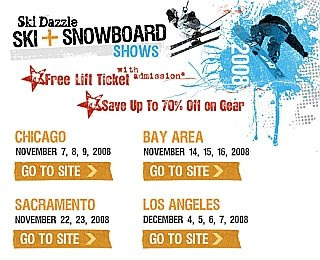 Join White Pass and all the SkiWashington resorts at the annual Ski Fever Snow Show at the Qwest Stadium Exhibition Center. You'll find AMAZING DEALS on gear, you'll be able to check the latest at all the Washington resorts, and of course trade stories about all of the pow to come! You'll also find ANDY MAHRE signing posters at the WP booth on Sunday afternoon. See you at the show! 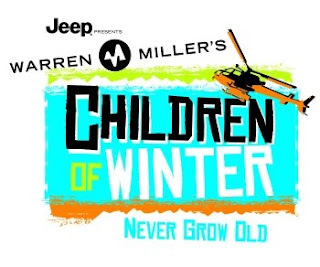 animoto video contest It's time to get ready for winter and in this season of Warren Miller Movies & the World Premier of HUNTING YETI - WP decided to get into the game and to bring all of you along for the ride! Click through to see our YEAR IN REVIEW WP VID and to learn how to enter our 2008 ANIMOTO video contest. Winners will receive great prize packages from WP, DAKINE, and Nimbus Independent. Our esteemed judges - Eric Pollard, Andy Mahre, & Pep Fujas see them on snow is HUNTING YETI. The WM Tour is upon us with shows in Yakima on Wednesday the 29th and Tri-Cities on Thursday the 30th. November 1 & 2 Yakima Ski Swap supporting the White Pass Volunteer Ski Patrol November 8 & 9 Olympia Ski Swap at the Olympia Armory. 7- Kitzbuehl ( The race coarse is a legend in itself) 8- Stubai Glacier ( Open year round , when you just gotta have some ) 9- Les Arcs ( great place for speed skiing ) oh you meant N. American, Ok,..
6- Kicking Horse or Jackson Hole Deep Pow ! 8- Killington those on the east coast will think I am completely biased if I omitted the beast ! 9- Telluride were you expecting the big "A" in Colorado? 10- A long list of ties. Depending on YOUR qualifiers.